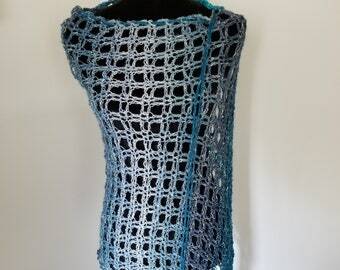 Shawl - This lacy shawl is hand crocheted in an open weave consisting of many chains. It can be worn as a shawl, summer, winter or in between! This piece can also be worn as a scarf in the cooler months. 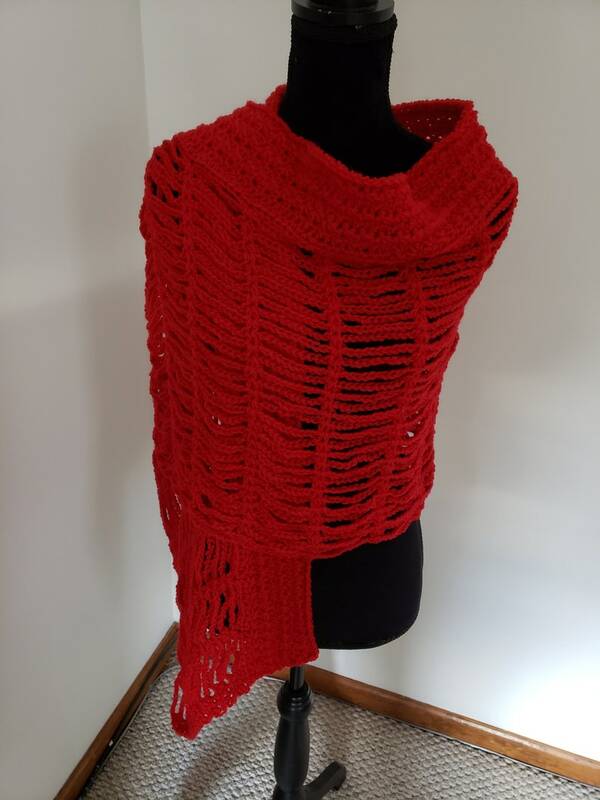 Crocheted in a bright, striking red, this shawl will brighten up any outfit from dresses or even jeans and a tee shirt. Top off any outfit from casual to dressy with an airy lacy wrap. The shawl is hand crocheted in a pure superwash virgin wool yarn. it can be machine washed cold and tumbled dry on low. Measurements are 18 inches in height and 64 inches in width. Treat yourself to something so soft and cuddly, you will not want to take it off!